Over a foot a snow has fallen in the mountains of West Virginia this week, creating awesome slope and back country conditions. 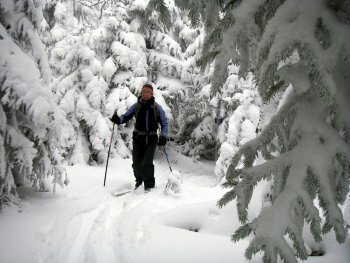 Here a cross-country skier at White Grass Touring Center in Tucker County enjoys the fresh powder on the back country trails. The picture was taken 2.24.09.